What better way to herald in the new year than to join in the celebration of a joyous occasion such as a wedding? Many guests did just that as they witnessed Kenny Cheong and Sophie Tan tie the knot on the first day of 2019. A church solemnisation ceremony took place in the morning at the Calvary Pandan Bible-Presbyterian Church before the couple held their banquet dinner later that evening at the Singapore Island Country Club. During the dinner, the newlyweds sportingly partook in a quiz, which tested them on how well they knew each other and brought loads of laughter to the guests. 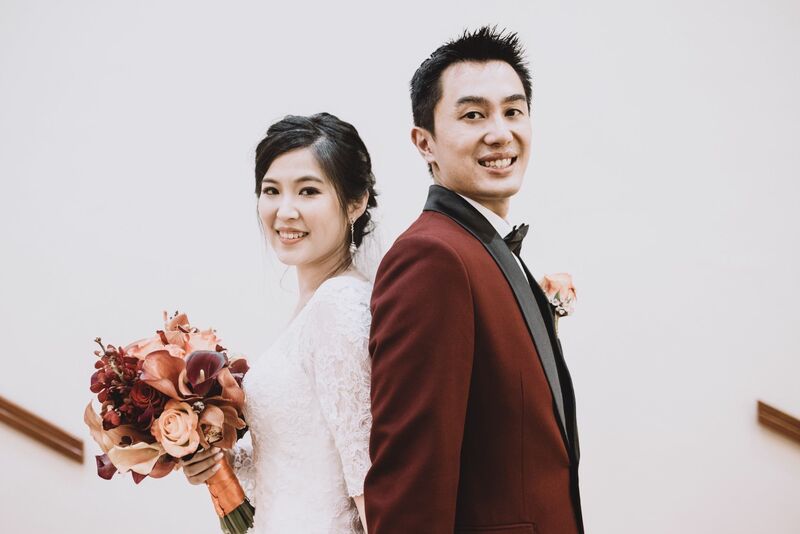 In a heartwarming tribute, Kenny, who preaches at a church, and Sophie, currently a locum doctor and daughter of society lady Evelyn Sam, thanked their parents for their love and support all these years.